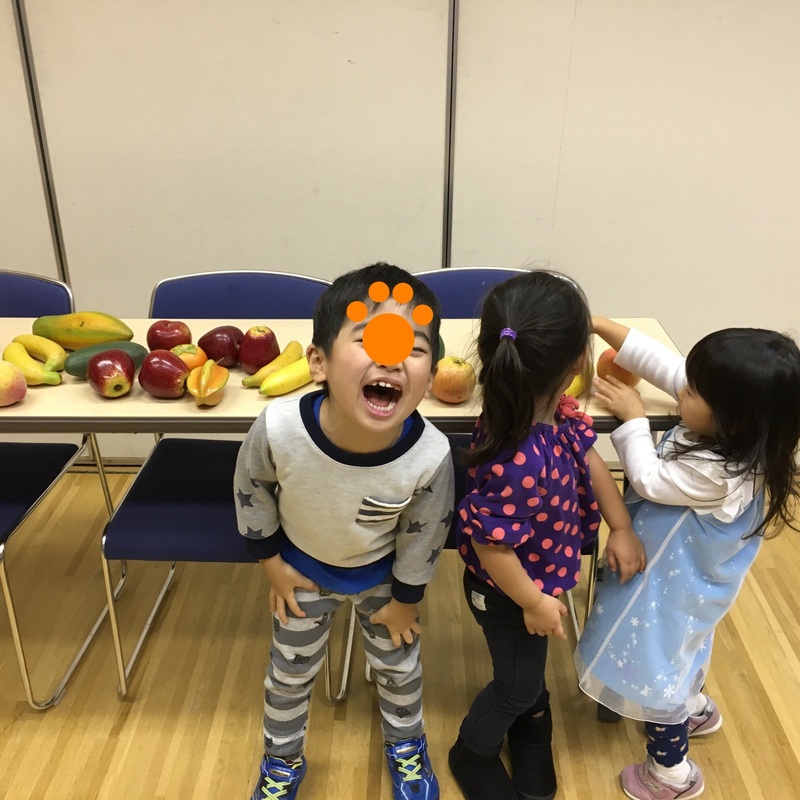 ママ: Mommy wants to eat ［an apple］. Do you want to eat ［an apple］, (too)? こども: Yes, I do. / No, I don't. ママ: Go get the ［apple] for me, (Katie). こども: Okey. Here you are.